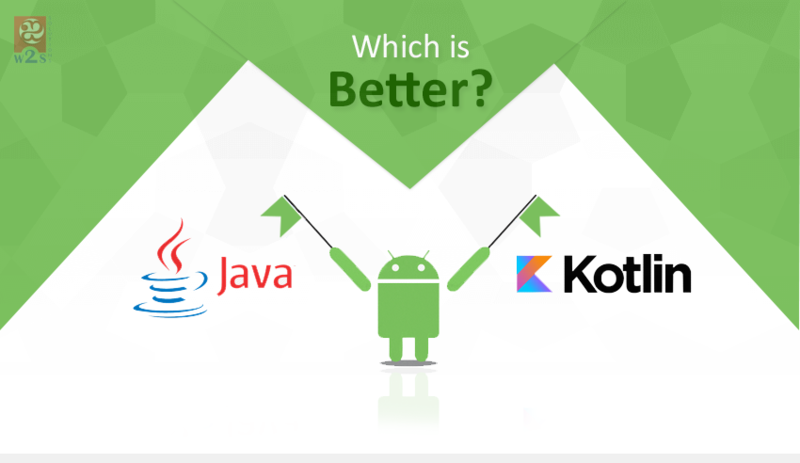 Java and Kotlin are the most-widely used development languages when it comes to Android App development. Professionals from any Android App Development Company, who have been making use of Java since very long, have another option now in Kotlin. Having been announced by Google as the second official language for developing Android Apps at the I/O conference, Kotlin has now emerged as one stellar programming language. No wonder, Kotlin offers to be compiled successfully and run effectively on the Java Virtual Machine. Java, having reigned as the most preferred language for developing Android apps, has found its match in Kotlin. While it is not compatible with Java, Kotlin, the powerful statically-typed programming language, runs on Java Virtual Machine. Code written using Kotlin works fine with Java as well as it natively does. Using aggressive inference for determination of the types of expressions and values – when they have not been stated clearly – Kotlin, as a programming language, is more distinctive than Java that at times may require repetitious type specifications. After having been announced officially as a first-class Android Development language, Kotlin certainly has grabbed the attention of global Android App Development Companies and developers. Regardless of whether you are a beginner or expert, you are faced with the dilemma of deciding between Java and Kotlin today. With the additional choice, it is common that programmers and business owners alike find it a difficult task picking the right one for developing their Android Apps. It is by going through the various pros and cons related to both the programming languages that one will be able to arrive at the right decision in this connection. Android itself having been written in Java, there’s no wonder that Java has been many developers’ favorite with regard to Android App Development. This object-oriented programming language claims the title of the second most active language on GitHub. It has been around for nearly 20 years with its popularity only appearing to grow. Being positioned as the first-class language for developing Android apps, Kotlin is considered to be the ‘enhanced Java’ by programmers across the globe. Kotlin provides several improvements over Java, its 2-decade old predecessor. Not without reason, Kotlin, the modern programming language offers a number of advantages, especially for building Android apps. As with any programming language, there are certain catches in using Kotlin also. Although Kotlin proves to be far better than Java in certain aspects, it has not reached being the perfect language yet. It is in a way in an experimental stage, although it appears close to outshining Java. Kotlin is about to be adopted on a wide level in future, no doubt. Java, with its years of use and reputation, will take a long time to be replaced, but Kotlin is fast becoming the choice of startups and those seeking innovative technologies. Android Development Companies had better experiment with Kotlin slowly and get to know how their team fares with it and whether they are able to reap the intended benefits. 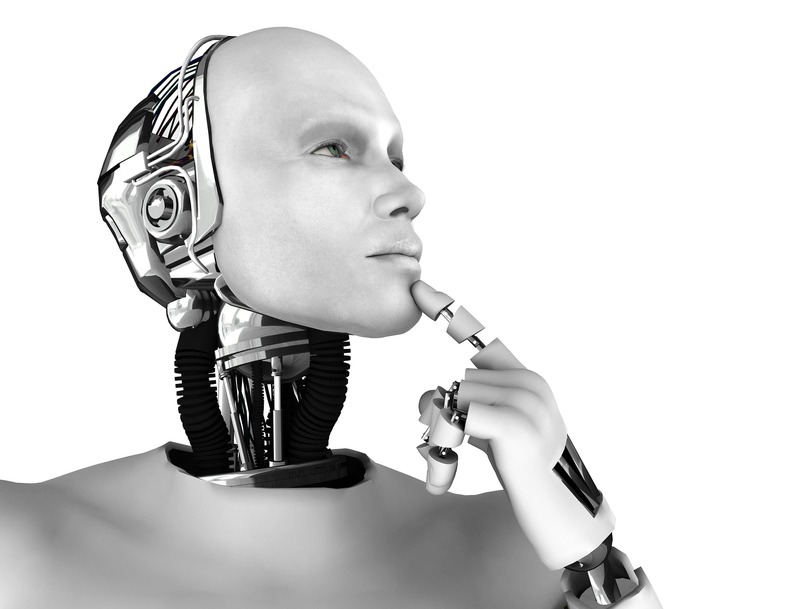 Machine learning, the Artificial Intelligence application that facilitates systems to learn as well as improve from experience, without having to depend on being programmed manually for each of such instance is gaining momentum in recent times. There has been a noticeable rise in machine learning and related capabilities such as artificial intelligence and predictive analytics. This demands contemporary organizations to go for exploring implementation of mathematical algorithms-based data analysis model. DevOps, the exclusive software engineering practice that aims at unifying software operation and software development, has been instrumental in exponentially improving software development related to increasing both productivity and quality. 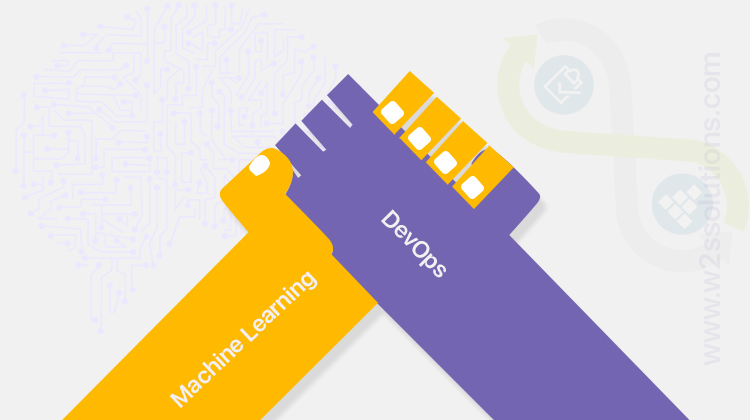 The relationship between DevOps and Machine Learning is evident, and is capable of improving the ability of organizations to analyze and manipulate huge volume of data in a rapid and accurate manner than any human resource. Here’s where app development companies find the combo of machine learning and DevOps effective. There exists a strong synergy between Machine Learning and DevOps that extends to certain related aspects such as Artificial Intelligence, Predictive Analytics, and IT Operations Analytics. Quite a few DevOps methodologies are seen to surge high and generate huge variety and volume of data throughout the project lifecycle, starting with development through deployment through performance management. The ultimate goal of DevOps, automation, can be accomplished by harnessing the data by using a robust and reliable analysis system. A huge volume of data is generated by successful DevOps practices; such large volume of data has the capability to draw insights that are helpful in workflow streamlining, production monitoring, and issue predictions. The voluminous data produces predictable result. Generally, teams do not involve in reading the data that is populated directly but they do ensure a threshold of some specific activity to declare that as problematic. It is customary that DevOps teams, rather than looking for data individually, look for the exceptions that arise. Here’s where machine learning plays a vital role in analyzing such data and drawing meaningful insights. Implementing machine learning in DevOps results in two distinct benefits: reduction of noise-to-signal ratio and replacement of reactive mode with proactive approach that is based on accurate predictions. Most teams are using the threshold approach that is based on habit, gut feelings, and conventional wisdom for monitoring. Compared to this, the machine learning approach, that is more mathematical, is grounded. Here, models and methodologies such as classification, linear and logistic aggression, and deep learning are being used for scanning huge sets of data. Identifying correlations and trends and making predictions are enabled. Threshold defining is based on what is logically sound and statistically significant. Root Cause Identification: Machine Learning helps in discovering the root cause, enabling the teams to fix performance issues at one strike. Learning from Mistakes: Issues caused by mistakes committed by DevOps teams can be located and rectified by Machine Learning systems that help in analyzing the data and portraying what has taken place. Development metrics can be Viewed Differently: Collecting data about aspects such as bug fixes, delivery velocity, and continuous integration systems is enabled. Fault Prediction: Machine Learning application helps draw meaningful insights from the data produced by monitoring tools during failure generation. Orchestration Measurement: Orchestration process monitoring becomes easy; team performance can be evaluated effectively with the help of Machine Learning. Going Beyond Threshold Setting: With voluminous data, DevOps teams are held up with setting thresholds rather than analyzing the entire data –Machine Learning applications help with predictive analytics. An increased number of next generation tools related to DevOps have started supporting machine earning to varied extents. Coordinating machine learning with the current business demands additional knowledge from the part of programmers. Today’s DevOps engineers have to be aware of how to code, know how the infrastructure works, and learn how DBaaS can be utilized in the cloud. Most of the contemporary DevOps engineers not being mathematicians, it is a huge challenge to add machine learning skills to the skill sets mentioned here. Gap in Machine Learning Skills: For understanding machine learning that is based on applied mathematics, developers are expected to have a clear understanding of calculus, logarithms, linear algebra, linear programming, trigonometry, infinite series and sequences, statistics, and regression analysis. Organizational Challenges: Machine learning is mostly data science that has to be divided across varied skill sets. Putting together a multi-disciplinary team consisting of Big Data programmers, Big Data engineers, and Data Scientists is one obstacle faced by organizations. Regardless of the obstacles and challenges faced, adoption of machine learning will only be growing as it is lucrative and is certain to attract more and more IT professionals and engineers with factors such as high income. With algorithms becoming easily understandable and convenient to implement, thanks to proliferation of frameworks, in future, what was once the domain of PhD scholars will be feasible to Big Data programmers and data scientists. With several huge benefits that can be reaped by enterprises by using the machine learning-driven DevOps infrastructure, App development companies and managers have already started ways to boost machine learning among their teams. How Does Machine Learning Help Optimize DevOps? Although it may take time, with the network architecture and algorithms chosen appropriately, Machine Learning system is sure to produce great results. Developers and App development companies are about to be benefited in several ways by combining machine learning and DevOps! Microsoft ASP.NET Web Application Development is still preferable by various organizations. It could be any size such as Small, Medium and Large Enterprises, but their preferred technology for development is Microsoft.NET. It offers the variety of benefits that reduces development time and no need to worry about scalability and security. 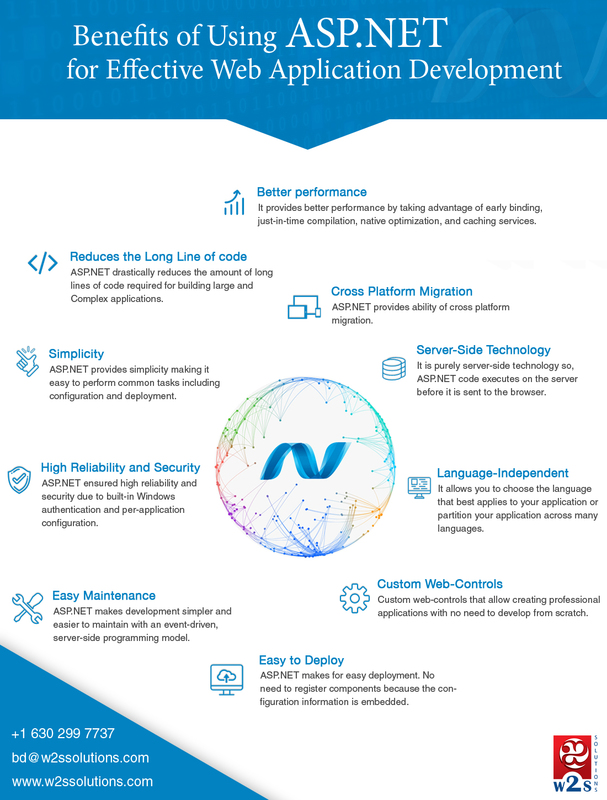 As the Asp.NET Framework and MVC platform are evolved for decades, it has a rock solid foundation and building a new feature can be done in no time. If an enhancement should happen in production, It will be super easy to design, develop and deploy in Microsoft applications. Microsoft has classified its components as View, Controller and Model files. If you wish to work on view files, it’s easy to change a view and upload the files in the live environment. It does not require a build and you don’t have to restart your IIS. Hot deployment is always good, as it does not impact any existing users. There are major third party components available that simplify your UI Controls. Grid control, Pagination, Dashboard, Reports, Scroll view is offered by these plugins and it suits well with Microsoft framework. Production deployment is really smart on Microsoft platform. Some Version control softwares are offering a single click deployment which eventually wraps up all your files from version control, make a build, move files to IIS Server, config files and Script files will be copied to appropriate folders and restart IIS if required. No need of manual Server admin as Its automated to take care of deployment. This is one of cool feature that removes the risk of missing a file in Production. 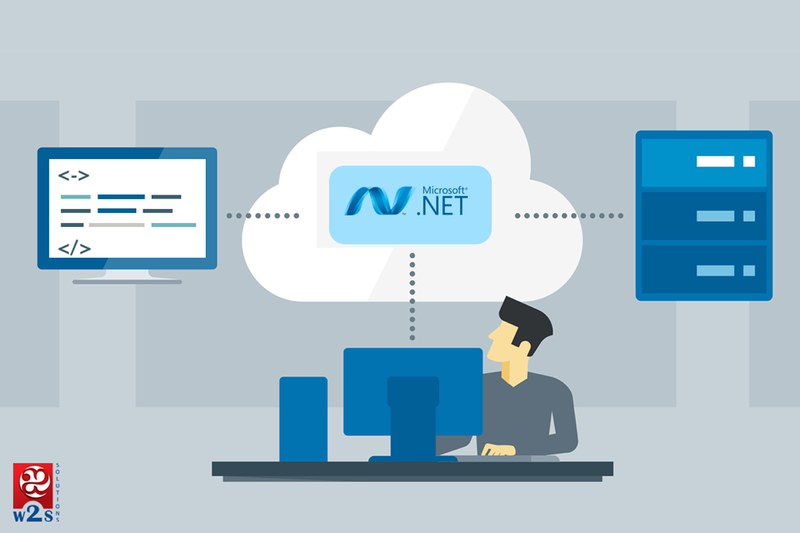 If your business has the potential opportunity to scale up, Microsoft.NET offers you the support and framework to develop. Let us know your thoughts about any other technologies. In this ever-changing scenario of dynamic business landscape, organizations are strained to concentrate on multiple facets of an industry. One such vital ingredient, greatly contributing to the successful formula of every business is its marketing strategy. Marketing is considered to be an invisible force which turbo charges the presence of every organization. Though many companies ignore this viral propellant, it is undeniable that Marketing adds value in boosting the revenue generated. The best fit answer is-outsourcing marketing responsibilities. Outsourced marketing relieves the organization from a huge amount of workload. They can rest assured that an important factor of their organization is being taken care of very well. The organization can be better inclined towards building up their core competencies. 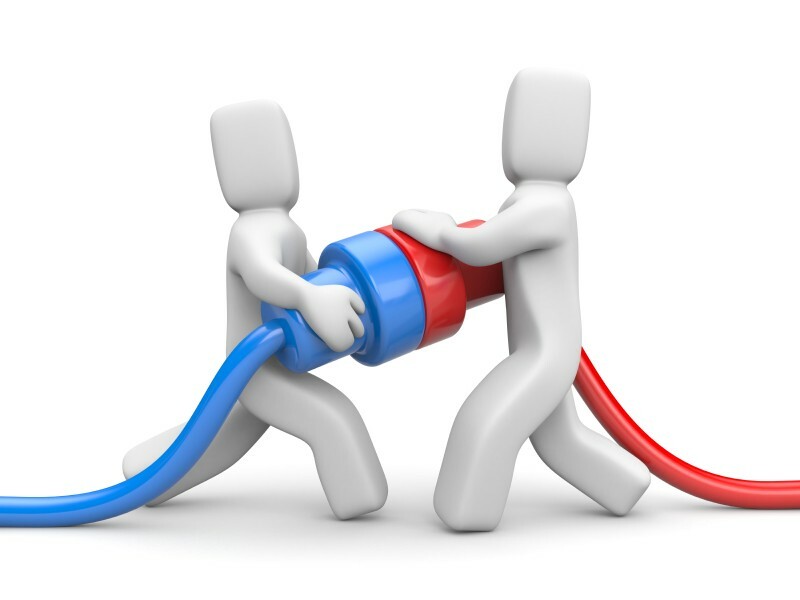 When you outsource marketing, you hand over the complete charge to a third party, specialists in this field. They are equipped with leading edge technology which would definitely contribute towards scaling up productivity, revenue and efficiency. When a particular department is outsourced, it saves the cost involved in infrastructure and maintenance. An outsourced marketing division supplies you with high-level talented employee pool who is extensively involved. This brings innovative ideas that play a significant role specifically in times of crisis. There is no doubt that an in-house team naturally gels well with the organization and its culture. However a new perspective always help to analyze current trends, company’s performance and come up with marketing tactics to meet future demands. Thats why we think that an outsourced division look at the organization with an “outside perspective”. They are able to comprehensively analyze from the client’s perspective and feed the organization with critical inputs whenever required. W2S won appreciation from a leading Cloud solution provider for having greatly transformed their web page visibility and compatibility. The client was not able to focus on online visibility and branding activities. After an exhaustive analysis, W2S came up with a comprehensive and user-friendly website for the client. W2S won accolades from the client and was announced as the official branding partner. The website was 100% as proposed in design and met stakeholder’s expectation. W2S Solutions developers were successful in bringing out the expected outcome as promised, without any issues. Keeping in mind the target audience, almost 170 web pages were rebranded, revised by W2S and delivered in Word press. This website was modular by nature and accommodated trendy changes. All set to transform your marketing strategy? Reach out to W2S Solutions for an expert advice and further details. Gear up to make the impossible happen! 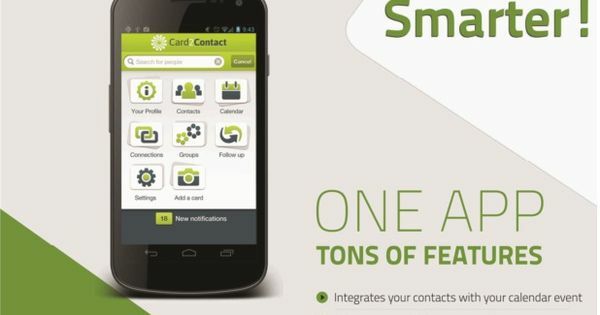 ‘Card2Contact is a new mobile app that is going to fundamentally change the way you engage with your life’s network. The company announced today that it has been awarded App Idol of the Middle East at the Global App Summit in Dubai on June 4th, 2013. The new app has been developed around two key areas of life that we all experience in today’s world: 1. People are pressed for time more than ever before, and 2. People are becoming increasingly integrated with social media/networking. Card2Contact’s winning app has an impressive line-up of 7 new features to support its value proposition as a complete contact and information/communication management system. The company has developed an app that integrates your calendar, address book, reminders, and your contact info changes in a more efficient way, with an extremely intuitive user interface. Card2Contact’s goal is to help you make meaningful connections with your life’s network. Their website (Card2Contact.com) states they have found a way to make your smartphone even smarter, and the users at the Global App Summit overwhelmingly agreed. The Card2Contact team is encouraging people to sign-up for their Beta version and be the first to try it before their official launch in a few weeks. While apps have dominated the consumer world in the last several years, they’ve actually failed to penetrate in Enterprise arena to the same extent. 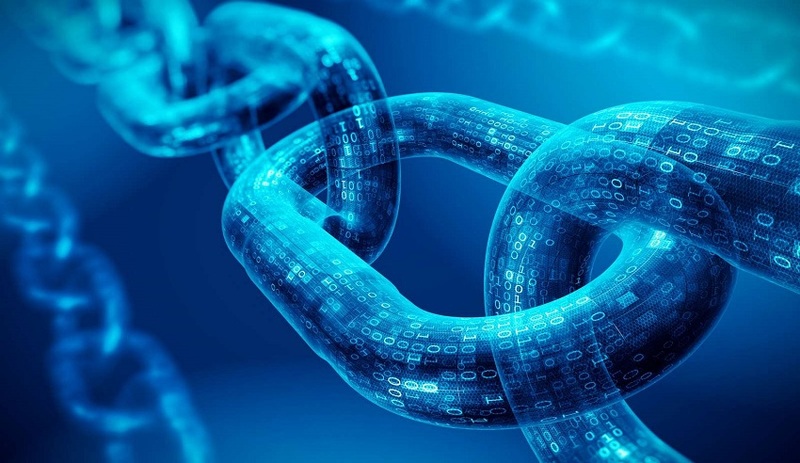 Though the development and use of a dynamic Information Technology platform resulted in Computerized Maintenance Management System, the real challenge, the enterprise faced in maintenance was in loading and accessing various type of data from wherever they were. An intense need arose from customers and employees has made the enterprise to think ‘mobile first’ and over a period of time, enterprise embraced and enabled the basics, like calendars, contacts and email for their customers. The time has changed and there is no need for anyone to tell the enterprise that mobility is critical for operational efficiency and to increase productivity, collaboration and profitability. Establishing a data-driven culture and enabling all decision-makers to take decisions based on the recent metrics will increase its productivity and continuous evolvement in it’s progress.The necessity to make “surgical decision” which eventually increases execution speed creates a concrete need in developing an Enterprise Mobility solution. Resources should have mobile specific skill sets, such as UX design,development, implementation, analytics and performance testing. Be aware of the quick changes in mobile industry, the fragmented devices and multiple platforms. Developers, architects and user experience designers need to keep pace with the market changes. In-house resources were more often pulled from other projects; hence the balancing act has to be maintained. According to a recent survey, 26% organizations developed their mobile applications In-house that contains Fortune 500 and established market leaders. This clearly shows that Small and Medium Enterprises depends fully on third party mobile development partner. With straining budgets, continuous investments and furiously changing smartphone landscape will be a constraint to keep an In-house mobile developers and it’s definitely worthwhile to outsource the development. It’s a valuable way of bringing in world-class expertise in this field. Partnering with a true enterprise mobility expert provides quick turnaround, faster to market and cost effective solution. Speaking of that, Are you running a SME business and looking to define your mobile strategy. This is how we helped one of our customer recently. A leading manufacturing client faced a challenge in handling their product quality and increase productivity while assigning jobs to their employees. After in depth analysis, W2S Solutions is approached by them to identify a niche solution. By following a unique approach in understanding the concept and with the help of image processing techniques a user friendly mobile app is built; It brought employee efficiency, profit growth and customer retention. Have you had a chance to check out our Enterprise Mobility solution ? It enables you to build enterprise mobile apps that showcases an outstanding user experience. Advertising was evolved tremendously in the last few decades. Is there any advertising media in our Granny’s days? No, Mouth to mouth advertising helped businesses and then came the era of Pa’s having a cup of coffee and reading magazines and gathering information about latest businesses and its promotions. From there, technology started to grow faster and travelled quickly. As the internet usage increased vigorously in early 2000’s even the small businesses wanted to have their customized and responsive websites. Not too long ago, “having an online presence “meant maintaining a website; now what’s the trend? Mobile has become a disruptive force in almost all aspects of our life. It`s growing rapidly and it is causing dramatic changes in how consumers interact with brands and how advertisers market to these consumers. So what does it really mean to businesses? A small business can achieve its mobile presence in two ways. Either a Website optimized for mobile devices or a standalone mobile app. We will discuss in detail about which investment option is the best for a small business. We should not view mobile websites and mobile apps as competing platforms, but rather complementary ones. Whether you should build a mobile app or a mobile website really depends on what type of business you have and what’s your customer preference. You also need to consider what percentage of your customers and prospects are accessing your content from a mobile device. If your vision is to attract more customers then you can start with a mobile website. Mobile websites are built with responsive design so that it can be displayed in all formats including phones, tablets, PCs and laptops across all platforms. The main advantage of responsive website is that you build one and view in different platforms, while you would have to build a separate app for each mobile operating system and keep up to date with new versions (i.e. iOS, Android, Windows mobile, BlackBerry etc.). Contents such as About their services, contact locations, menu and categories and customer can make an appointment right from their phone. Above all of this, users get notifications and day to day offers which make users engaged! As social trends changes, a business is no longer being social enough by just being in social media. A mobile app can take advantage of device features included in mobile phones such as push notifications, GPS, contacts, camera phone, and integration with other apps like Facebook, Twitter, Instagram, card2contact– just to name a few. Contact us and let us know if we can help you find the right strategy for you. We develop customize mobile and Web Apps for start-ups and SME’s around the world. Chennai, October 31, 2014 – W2S today officially launches a new logo. W2s Solutions CEO Madhu Kesavan says: We are delighted to unveil our new logo. Over the past 4 years we have grown at an incredible rate, which is solely due to our valued clients. In the fall of 2014, W2s embarked in a process to refresh our logo and to tell people about our business dna and we thought it would be a good time to project W2s Solutions into the new decade with a new logo. W2s’s new logo retains same style of colors that were in the old W2s logo, to be precise, but being far more streamlined and bold than the original. W2s Solutions firmly believes that their newly launched logo symbolizes their confidence, professionalism and growing success within their market. In terms of finding their own color ‘identity’ W2s is right on the mark choosing blue and red as the sole colors for their logo. These colors are widely recognized as colors that signify strength and reliability as well as composure. W2s Solutions is a custom Mobile app and web development company offering unique and innovative enterprise mobile and web solutions to their clients to help them build lasting and trusting customer relationships. It is also about innovation and drive to move forward. We honor the commitment and skills of our people, who deliver expertly engineered solutions to our customers day after day. W2s builds a stable foundation, creating the freedom for innovation that delivers ‘Solutions’ in a lighter typeface, exemplifying new thinking, energy and agility. W2S Solutions is recognized in the industry for its creative ideas and innovation, and the ability to leverage the same with unique and memorable Enterprise Mobility and Web Solutions that stand-out above other brand chatter. By appointing creative developers from the outset, we are able to provide you with a consistent service that ensures every angle is covered. From unique developments to budding opportunities to innovative solutions and more, we’ll have it covered when you’re ready to enter the market. Designing, planning and deploying customized solutions that provide values requires a skilful combination of careful planning, focused strategy and seamless creative execution. Established a solid foundation, we make it our priority to immerse ourselves in business world, allowing us to clearly identify each of client’s objectives and subsequently chart an approach that will see them fulfilled. We encapsulate the skills and expertise to deliver ground breaking mobile and web solutions that create brand presence and establish a solid platform from which to extend the initial buzz into long-term recognition and brand exposure. Block your calendars for October 31 and November 1! We hope to see you there!